A vow is a promise, and a wedding vow is a promise made by one partner to the other during the wedding ceremony. These vows are recognized mostly in western Christian ceremonies, as most others do not include vows. If you are searching for ideas on wedding vows for her, you are in the right place. We’ve created 50 touching and cute wedding vows for her to help you. 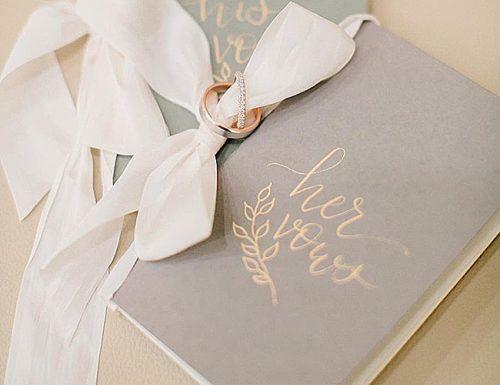 Steal ideas from these self-written vows from real women for the part of your wedding ceremony. What Are Marriage Vows For Her? Marriage vows are essentially a pledge a couple makes to one another. The vow promises, are traditionally made during the wedding of the couple. However, some couples have a second ceremony, years down the line in their marriage where they renew their marriage vows. It is possible to get some wedding ceremony vows examples from other couples who have walked the line that you are on right now. If you’re looking for such Jessyple cute vows to husband to steal, then look no further. “I believe in you, the person you will grow to be and the couple we will be together. With my whole heart, I take you as my wife/husband, acknowledging and accepting your faults and strengths, as you do mine. Your greatest fan and your toughest adversary. And you are my true counterpart. Click HERE to download vows for her examples! Simple wedding vows for her shouldn’t be ordinary and boring. Bellow are examples of the best wedding vows for her, that simple yet beautiful. “I will dedicate myself to you wholeheartedly. I will make time for you and support you in everything you do. I will help you to raise our children to become loving people, and support you in the fundamental role of parent. “I __, promise to love and cherish you__, for the rest of your life. I will try to bring laughter to your life, and make you happy, I will consider you in the decisions I have to make and value your opinions. Today I vow to be your husband/wife for the rest of our lives. “__, I __, take you to be my husband/wife. To have, to hold from this day forward, for better, for worse, for richer for poorer, in sickness and in health, to love and to cherish till death we do part, and this is my solemn vow. “I, ___ ___, promise to be to you, __ __, a true and loving companion. I promise to be the best husband/wife and parent that I can be and to commit myself forever to our relationship together. “Registrar/celebrant:__, today you have come to promise to share your life with__. Do you promise to love and protect her, to be faithful to her and to be always supporting and understanding? Do you promise to share your life with each other, to trust and be honest and faithful to each other? Will you live in a spirit of tolerance, mutual support, and concern for each other’s well being, sharing your responsibilities and joys? Registrar/celebrant: We have come together today to witness the vows that __ and __ are about to make. ___, do you now agree to take __ as your wife, understanding and expecting that she will be your partner for life? Will you love her, support her and help her to achieve her potential? Will you share your love through whatever is to come, until the end of your life? “I do solemnly declare that I know not of any lawful impediment why I ____ may not be joined in matrimony to ____. I call upon these persons here present to witness that I ____ do take thee ____ to be my lawfully wedded wife/husband. I declare that I know of no legal reason why I ____ may not be joined in marriage to ____. “I promise to love and care for you, and I will try in every way to be worthy of your love. I will always be honest with you, kind, patient and forgiving. I promise to try to be on time. But most of all, I promise to be a true and loyal friend to you. Because that is what makes you unique and wonderful. Because through them your soul shines. For there is nothing we cannot face if we stand together. Not possessing you, but working with you as a part of the whole. For one lifetime with you could never be enough. Click HERE to download civil vows examples! While personalized vows are sweet and creative, some couples prefer the traditional or religious route. This is not uncommon for couples close to their roots and family traditions or religious norms. Whether it’s Christian vows to husband or even second marriage vows, these vows for the traditional wedding should be quite helpful. for better for worse, for richer for poorer, in sickness and in health, to love and to cherish, till death we do part, according to God’s holy ordinance; and thereto I plight thee my troth. until we are parted by death. I promise to be true to you in good times and in bad, in sickness and in health. I will love you and honor you all the days of my life. I, Jessy, take you, Tim, to be my [wife/husband]. All that I am I give to you, and all that I have I share with you. Whatever the future holds, I will love you and stand by you, as long as we both shall live. to be the parent of my children, to be the companion of my house. “With the first step, we will provide for and support each other. With the second step, we will developmental, physical, and spiritual strength. With the third step, we will share the worldly possessions. With the fourth step, we will acquire knowledge, happiness, and peace. With the fifth step, we will raise strong and virtuous children. With the sixth step, we will enjoy the fruits of all seasons. Click HERE to download religious vows examples! Looking for something completely different and inspiring to go through your wedding ceremony with own vows? We’ve got quite a few unique wedding vows here for you. Click HERE to download alternative vows examples! For couples who prefer things short and sweet, we’ve compiled here a list of such short wedding vows for her. 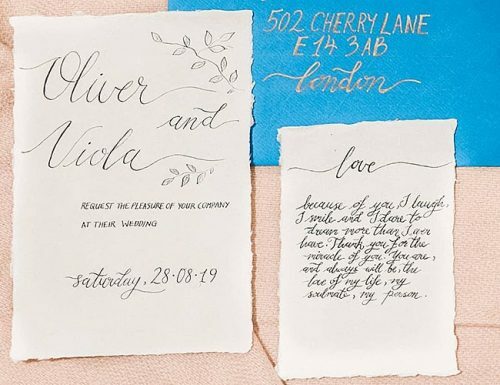 So, if you’re a bride wondering “how to write personal vows to my husband”, and you need them short and sweet, we have them right here. Click HERE to download short vows examples! If you are one of those intending couples who keep thinking: how to write my vows, then you have come to the right place. While wedding vows are a very private thing indeed, it is no sin to seek out help writing wedding vows. 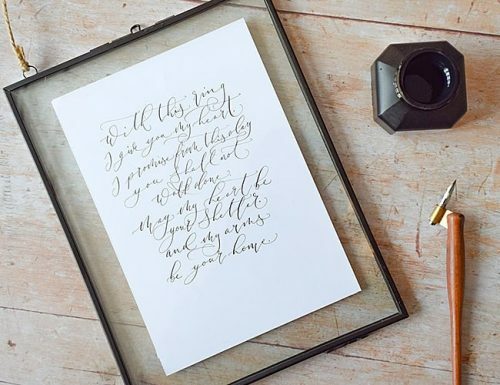 Below is a simple vows template that would be quite useful in writing even the most intimate vows. Even with the help of an outline, it’s always good to have tips for writing wedding ceremony vows handy to help with the process. Being arguably the most important part of the wedding, you should want your words to be perfection. Below is a list you would like to keep in mind. Be originally you. Your partner knows you and can tell when the words coming out of your mouth are not your own. Even if you perhaps copied them off the internet, make them your own before you say them. When you make promise wedding vows you’re going to want to keep them. Be realistic. It’s good to be optimistic with your vows, but also great to be practical and realistic. In writing groom vows you do not want to make promises that you cannot live up to. Stay simple. The best vows to the husband are simple and clear. These are easier to remember and even easier to say, especially for anyone with some form of stage fright. You can include a most romantic quote if you have one that’s dear to you. Agree with your partner and officiant, or not. 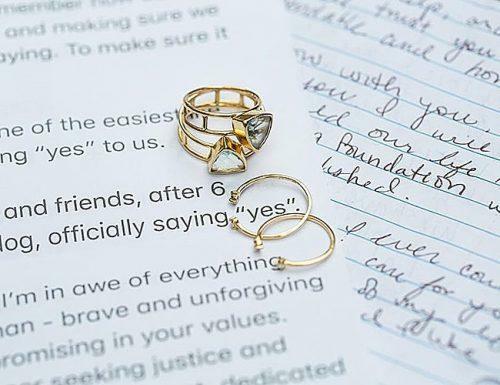 Decide earlier on if you want to share your vows with your partner when writing them. If you decide to, you can also share with the wedding officiant and seek their opinion. 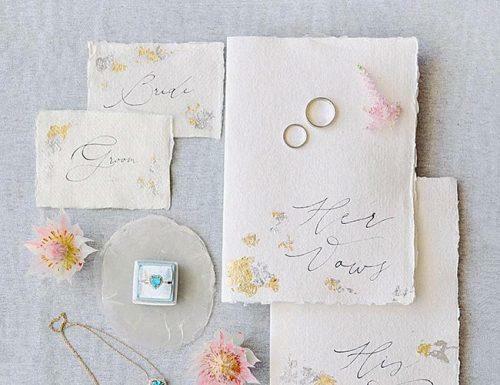 You could also decide to keep the details of your vows to yourself until your special day. Chill out. Calm your nerves and chill out. This will help you speak clearly and confidently to your partner. Remember to keep your vows short, at least under a few minutes. While your vows are very important, you want them to be memorable and a source of joy, not nerves. For the intending bride who is wondering, how do I begin writing my own vows or write vows for my husband? Thus, we have compiled this list. From quotes about weddings to wedding vow one-liners, we have tried to cover every foreseeable topic you might need when searching wedding vows for her.